Description: Reproduced from the 2nd edition, 1884. 2 vol. in-8�. ill.
+ Illustrations to the Armorial G�n�ral. London, Heraldry today, 1967. Reproduced from the 1903/26 edition. 3 vol. in-4�. ill.
+ V. & H. V. Rolland's supplement to the Armorial G�n�ral. London, Heraldry Today, 1969-71. 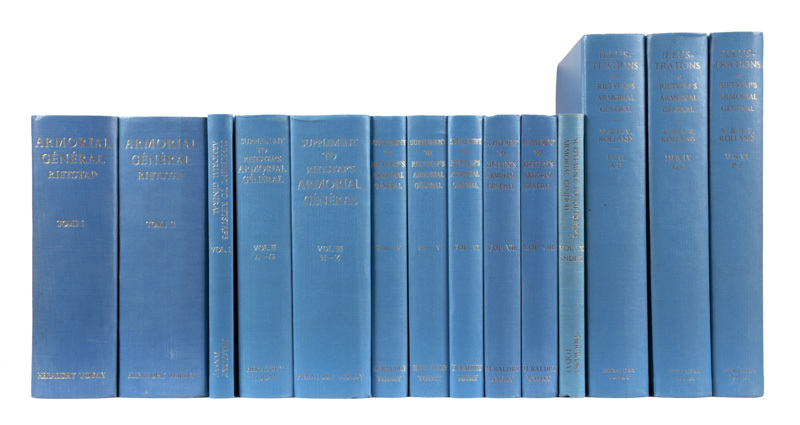 9 vol. in-8�, ill.